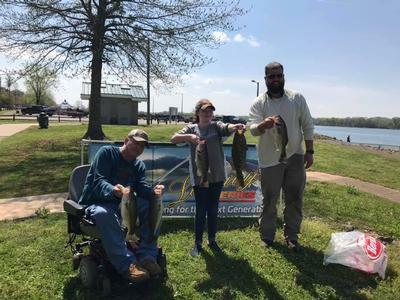 Our second Legacy was held on April 6th on Pickwich Lake. Florence Baptis Church sponsored our Friday night meeting and feed us sloppy joes and hot dogs. 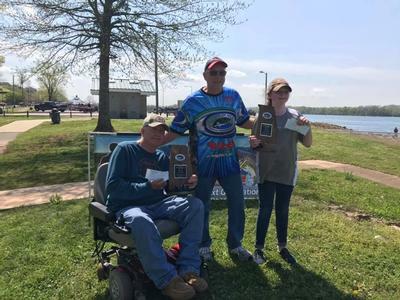 Nine teams were lookign forward to a great day of fishing with sunny skies forcasted. 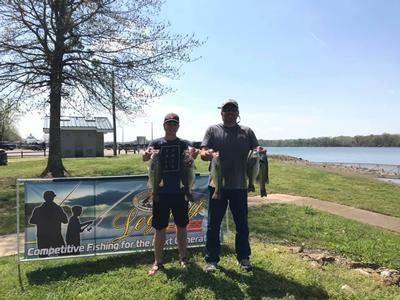 Our first place team was the father son team of Chris and Mason Hunt with a total weight of 17.24 pounds. 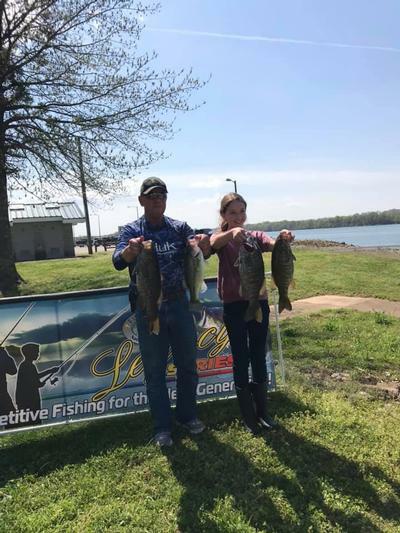 They also had big fish weighting 4.60 pounds. 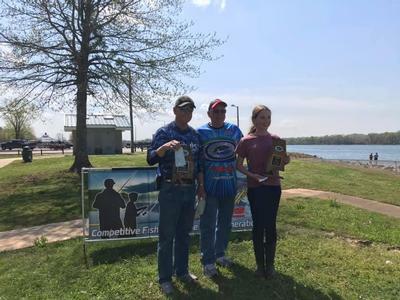 Second place went to Jim Garrier and Kate McMillian with 15.87 pounds. 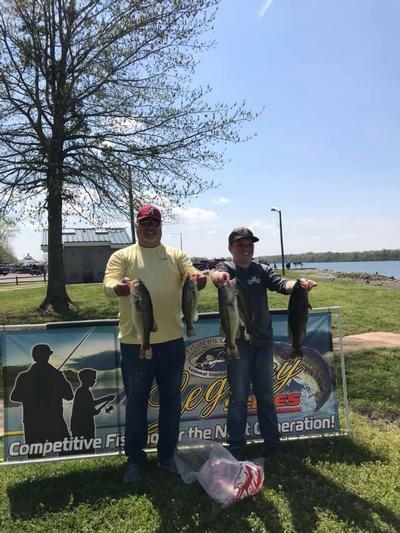 Third place was secured by Chesney Garrie and Joe Garrie with 13.41 pounds. 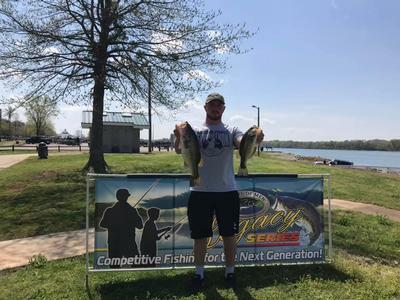 The next Legacy tournatment will be on Wilson Lake May 11, 2019. The Friday night meeting will be at Hatton Baptist Church. The address is 2090 Hatton School Road, Leaighton AL. Make sure your entries are postmarked by May 3, 2019. 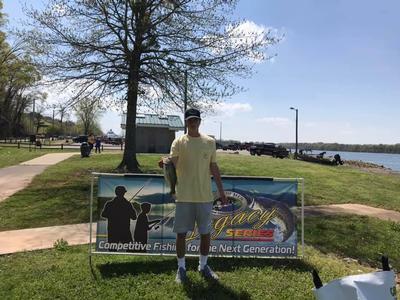 We would like to thank our local Fishers of Men sponsors: Langston Chiropractic, Craig Battery, Oreillys Auto Parts, Rickey's Flooring, Shelton Clothing and Tackle, Perkins Outdoor, Frederick Marine, CJs Tackle and Deli, Holt Upholstry, Certified Alarm, Born Again Collision, State Farm Insurance (Rhett Bradford), Grays Tackle Store, and Day Break Farms. 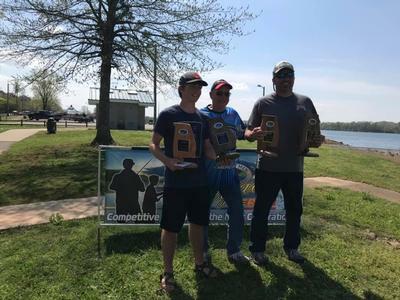 Fishers of Men would like to thank all of our fine sponsors; BassCat Boats, Mercury, Berkley, Abu Garcia, Spiderwire, Shakespeare, Strike King Lure Company, Power-Pole, Jim Hudson Toyota, Duckett Fishing, BassBoat Technologies, Amphibia Eyewear, Buckeye Lures, T&H Marine, Gator Guards, Frogg Toggs, Kistler Rods, Jacobs Glass, Valley Fashions.